This would be an excellent position for a savvy nanny looking for fun summer work and an opportunity to travel and sight-see! The family is seeking a nanny to care for their three children (two 9-year old twins and a 5-year old), and travel with them over the summer to New York City and beautiful Nantucket. They will be on the East Coast from July 6th to August 18th, but are open to extending this temporary position into September for the right candidate. The mother will be solo with the kids and she is looking for someone calm with a pitch-in attitude. Responsibilities include travel assistance, helping out with mornings, dropping off and picking up the children from summer camp, navigating the subway, and planning fun outings such as visiting museums, parks, the beach, etc. You'll have time to explore during the day while the kids are in summer camp with one day a week all to yourself. The pay for this job is highly competitive. 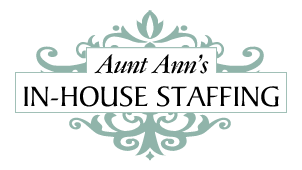 The family is offering $30-$35/hour plus a flat overnight rate.